Then comes a call that changes everything: Night Watch is summoned to the four a.m. fatal slashing of a man in Penn Station, and this time Billy's investigation moves beyond the usual handoff to the day tour. And when he discovers that the victim was once a suspect in the unsolved murder of a twelve-year-old boy -- a savage case with connections to the former members of the Wild Geese -- the bad old days are back in Billy's life with a vengeance, tearing apart enduring friendships forged in the urban trenches and even threatening the safety of his family. 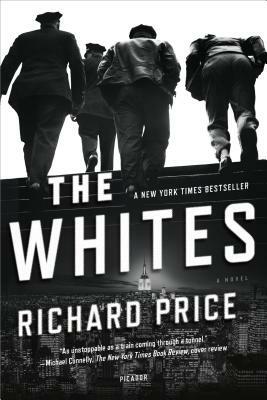 Razor-sharp and propulsively written, THE WHITES introduces Harry Brandt -- a new master of American crime fiction.